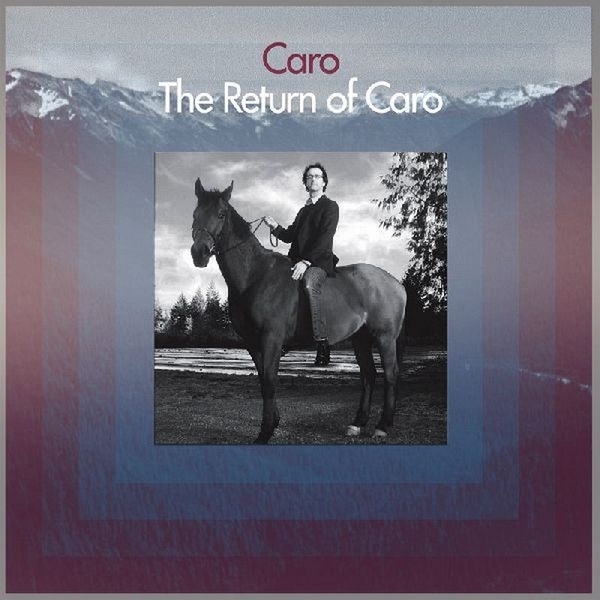 The return of Caro is an entirely listenable album which provides a bounty of dancefloor-friendly tracks. Caro swims between intersecting genres from detroit-influenced house to jacking techno, with the signature style that led de:bug, german bible of all things electronic, to call him “surely one of the most self-willed house producers.” The tracks “can't tell why” and “my little pony” are the one-two punch of this album - each has a memorable vocal and raw, movement-friendly beats that harken back to the glory days of Trax and Dance Mania. These jackers propose an alternate universe where “it's a cold world” and jamie principle’s “baby wants to ride” stormed the pop charts. “Can't tell why” is the sincere, emotional number, telling a brief story about love and loss to which we can all relate surely. “My little pony” is a tasty, guilty pleasure: unforgettable dry dancefloor humor. “Ah, ah, ah” and “Heavy wheel” offer widescreen, cinematic house appeal. “Ah, ah, ah” is a perfect opener for the album, full of optimistic sci-fi sounds, good for a sunny day. “Heavy wheel” is a melancholy, jazzy, slow builder. Woven between these house and techno tracks are some less genre-bound numbers. “Sea of hands” is a glitched-out love song with intricate latin beats and an oceanic guitar melody. “We can build it” is melancholy techno of ambitious scope which folds in heartfelt references to influences from Drexciya to the Black Dog. “Ovnito” is a rare recording from 1962 of Perez Prado's orchestra jamming with a small guest who came one day from another world, bearing arp synthesizers and some delicious ham-and-cheese sandwiches. Finally, “My little castle” finishes up the album with hypnotic, acidic and thoroughly modern techno. Sweeping and sultry, the minimal foundation supports an atonal song from some mysterious cabaret. The acid is kept at a slow simmer as hypnotic melodies weave inside – a track with plenty of room for the head and feet to wander, a fitting end for an album of huge scope.